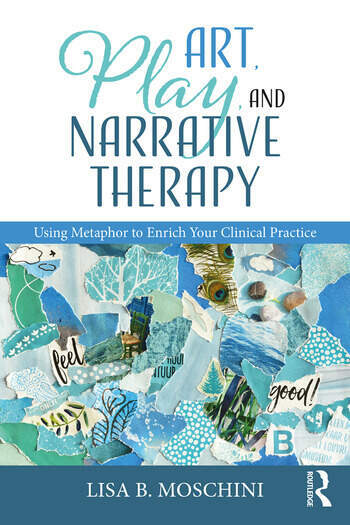 Art, Play, and Narrative Therapy shows mental health professionals how the blending of expressive arts, psychotherapy, and metaphorical communication can both support and enhance clinical practice. This book illuminates the ways in which metaphorical representations form who we are, how we interact, and how we understand our larger environment. Author Lisa Moschini explains how to couple clients’ words, language, stories, and artwork with treatment interventions that aid empathic understanding, promote a collaborative alliance, and encourage conflict resolution. Chapters include numerous illustrations, exercises, and examples that give clinicians inspiration for both theoretical and practical interventions. Lisa B. Moschini, LMFT, is the vice president and clinical director of Sanctuary Centers of Santa Barbara in California. She has been providing workshops, lectures, and trainings to therapists and educators since 1996. Her first book, Drawing-the-Line: Art Therapy with the Difficult Client (2004) has been translated into three languages.